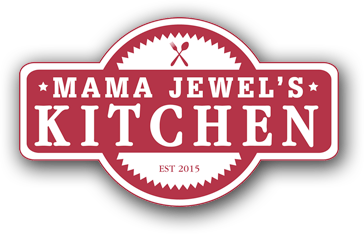 Mama Jewel’s Kitchen was created out of a love of great southern food. We take pride in preparing dishes using recipes passed down from family prepared with an “upscale take on home-style, southern comfort food”! Mama Jewel was our grandmother/great grandmother—she expressed her love through her cooking, as did many southern cooks of her generation. Even in her later years after she lost her eyesight, she was able to make the best caramel cake you have ever tasted! No one ever left her house without hugs, kisses and a very full tummy! Our hope is to share her love of southern food with our guests--we want them to feel like family--like they are eating at Mama Jewel’s house. Many in our family learned to cook standing on a chair in Mama Jewel’s kitchen. Some of us were blessed to have a long relationship with Mama Jewel, grandmothers and aunts—learning how to roll biscuits with a light hand, using the freshest ingredients (maybe just picked from the garden) and how to tell if a cake was done just by how it smells. While we are not able to go to the garden to gather produce, we do use the freshest ingredients available. Everything is freshly made in-house. We hope you will enjoy your dining experience at Mama Jewel’s Kitchen as much as we loved eating dinner at Mama Jewel’s house. I had lunch there and everything was amazing. Service and food was top notch. I&apos;m a picky eater so I am always thrilled to find a restaurant where it is obvious that everything is hand made with fresh ingredients. Can&apos;t wait to come back! The food was fantastic! The atmosphere was so comfortable, that it felt like home. I can&apos;t wait to go back and try some of the other menu items. We had lunch today at Mama Jewel&apos;s. The turnip greens are great! We will definitely be back. Next time for breakfast which they serve ALL DAY! My family enjoyed fried chicken from Mama Jewell&apos;s Kitchen on Easter Sunday. We ALL agreed it was the best fried chicken ever. My mother advised me, "Never fry chicken again!" It was delicious! Thank you, Kelly! Officially in love with this restaurant! The food was awesome & it was super nice on the inside. All of the employees were very professional & made us feel like family at the same time. I can&apos;t wait to come back again! Breakfast, Brunch and Soul Food A southern menu with a unique modern twist. Never-frozen ingredients, fresh baked, from scratch biscuits, and friendly, fast service.